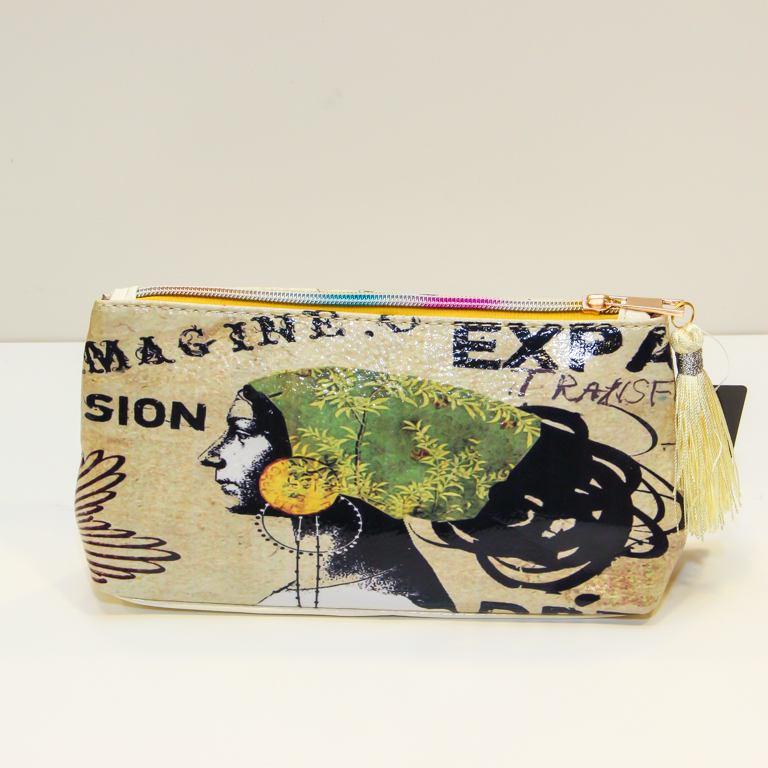 Cosmetic bag with a woman's face picture in shades of beige and black. With beige tassel on the zipper. (14x25.5cm).